This year has been an interesting year for me. I wanted to spend lots of time positioning myself as an authority on indie publishing via speaking at book fairs and conferences and continue to craft a passive, sustainable income from indie publishing. Considering the fact I moved to Sanford, FL, at the beginning of the year with no network, I’ve been pleased with my progress thus far. I attended Deltona Author’s Book Fair, Sacramento Book Fair, and the inaugural Ladies, Lipstick and Luggage Conference. In the middle of all my ‘brilliant’ positioning’ I found out I was pregnant and totally crashed. Crashing for an authorpreneur is bad. Very bad. However, after realizing that a baby doesn’t stop the show, I slowly began to position again and the universe heard me. I continued to make connections and was invited to be a Twitter panelist as a precursor to DreamFest Digital, an online conference that helps you live your dreams! A GRAMMY Award winning music producer who turned down traditional record label deals to build his own production company that has produced for many of music’s biggest names including Rick Ross, Meek Mill, 2Chains, Yo Gotti, Lecrae, and more. A serial entrepreneur who made his first million dollars at the tender age of 29, later lost it all, got it back, and now spends his time building new ideas, supporting others to achieve great success, and advocating for improved educational opportunities for underserved youth, specifically Black boys. A first generation American who was once told by her elementary school teacher that she was ‘stupid’ and ‘could not learn’, who became an academic overachiever and an award-winning journalist, acclaimed mystery novelist, thoughtful writer, and beloved college professor. I’m also excited about DreamFest Digital because I’ll be participating in a Twitter panel on November 1, 2016, from 6 pm to 7 pm to discuss how blogging can be beneficial to business owners. Another awesome Twitter panel is planned for November 3, 2016, and the topic is about how small business owners can leverage social media to grow their audience and customer base. These awesome panels and online conference is hosted by THE lovely Ashley Northington of Denor Brands and Public Relations. After I think about my rocky year, I think DreamFest Digital is the perfect catalyst for those who want to live their dreams, but have no idea where to begin? Or others like me who need some inspiration to get back into the saddle. Nearly 20 inspiring and action-oriented speakers from all over the U.S.
Attendees will walk away from each video session with actionable steps to accomplish their goals. Part of the proceeds from each ticket will go to 4 causes aimed at supporting youth entrepreneurship and world travel for cultural experiences. So as part of a wonderful DreamFest Digital promotion, I want to see you living your dreams! Let me see those pictures of you working at the coffee shop or writing! Are you interacting with your readers or making moves daily to accomplish your writing goals? In the picture, let’s see how you’re living your dream via the caption. Each caption should include the following hashtags: #LiveYourBrand, #DreamFest2016, #DFD16, and #BossWriter. 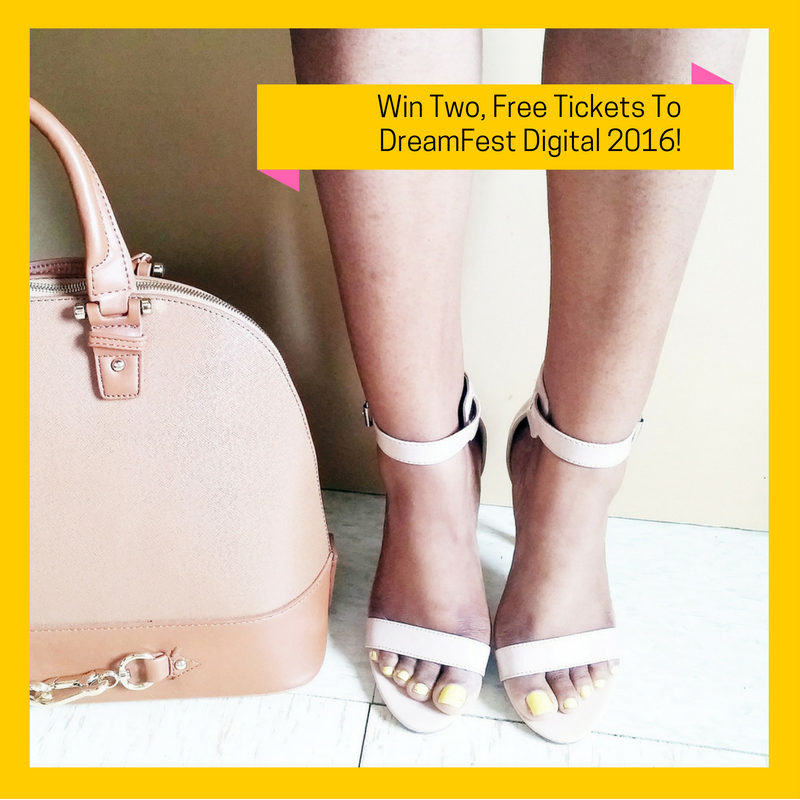 I’ll choose two winners and the winners will receive a ticket to the DreamFest Digital Conference. Remember, the best way to predict your future is to create it! I hope you participate in the active creation of your future by attending DreamFest Digital 2016! See you at the Twitter panel!